Authority Solutions™ Keyword Research – The first and most vital part of the SEO process. No matter how professional and well-designed your website is, if your existing and potential customers can’t find you online, you’re going to be missing out on business. Even if you’ve got a reputation for being one of the best companies in your specific field, without a significant online presence, you will find it difficult to maximize your potential. One of the main reasons why your website becomes lost in the multitude of websites is down to your use of keywords. That’s why one of the main services offered by Authority Solutions™ is SEO keyword research, as keywords are one of the most valuable aspects of any SEO campaign. At Authority Solutions™, we approach keyword research in a slightly different way. While you may have some ideas of the keywords you’d like to rank for, we carry out extensive SEO keyword research to uncover what USERS are actually looking for, and which keywords THEY are putting into Google. By using these keywords, your business will be found much more easily. What are the benefits of SEO Keyword Research? How will SEO Keyword Research help your business? In this ever evolving age of the internet, your website has the potential to make or break the image of your company. No matter how advanced SEO software may become, it can’t replace the experience and the human element of understanding the search habits of individuals, and how they search.  With our considerable experience and skill in SEO, we have a wide-ranging knowledge of search habits, and we know exactly how to utilize these to benefit YOUR business. For more information, please contact Authority Solutions™ at (888) 997-4146. Or you can complete the Get Started Form to schedule a discovery session. You will also be happy to know that with the assistance of our services, we will be able to easily do a keyword research to put you on the first page of google search result. Please contact us today to learn more. To get more tips and to learn more about Video SEO, please see the resources provided below.